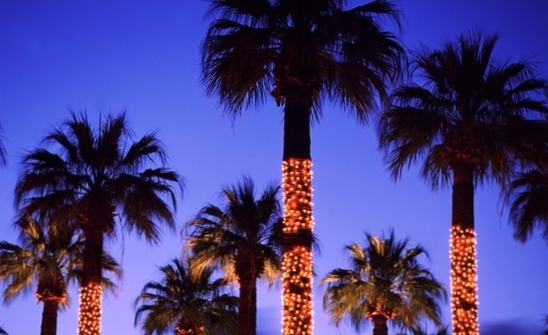 The island is quite festive with colorful lights strung in the islands palm trees. The local stores are decorated for the season, along with Christmas carols playing. Numerous activities around the island lead up to Christmas including the annual Christmas tree lighting ceremony, Christmas Fair, choral events, string and steel band concerts, fireworks, late night parties, pageants and many more community celebrations in the villages. Former President Bill Clinton, Denzel Washington, Uma Thurman, Celine Dion, Beyoncé and Jay-Z, Eddie Murphy, Beyonce, Meg Ryan, Richard Gere, Martin J.Fox, and Robert de Niro. One of the main reasons celebrities find Anguilla attractive is the staff at the islands hotels/resorts and villas are known to respect the privacy of their guests. Celebrated right before Christmas, this is the day when Anguilla residents recognize their ties to Britain, and becoming politically separated from St Kitts/Nevis. In 1980 Anguilla gained its independence, and became a self-governing British Dependent Territory. 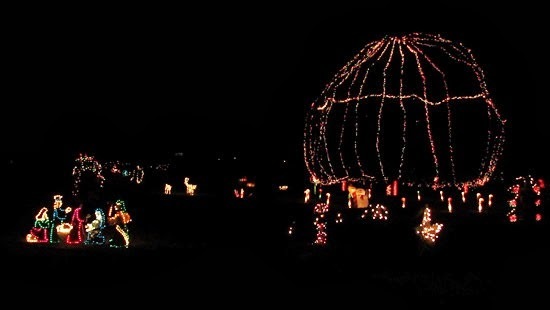 The Christmas Village features a collection of Christmas lights and decorations. 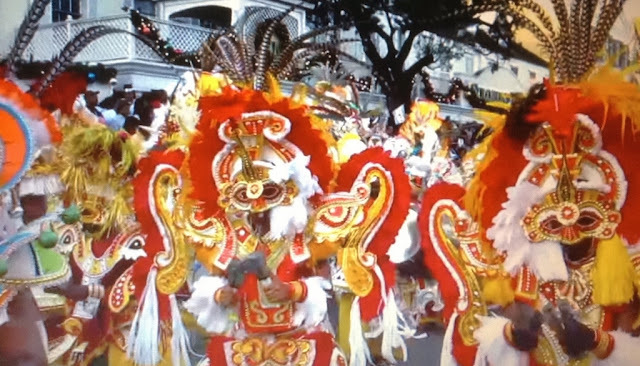 Festival De Noel is a week long celebration featuring theater performances, concerts, calypso dancers, string band competitions, BBQ's and other island seasonal cuisine. Proceeds from the festival assist in funding several local primary schools. The festival wraps up on December 24th with the annual tree lighting ceremony. Both locals and residents look forward to the Lighting of Mahogany Trees Ceremony on Coronation Avenue, and the old Valley Well area. Tourists who wish to attend religious services will find Anguilla has churches of all denominations for Christmas Eve service. Anguilla is know for its fine cuisine, and the island offers over 70 restaurants featuring a wide range of dining options and international culinary styles. Christmas Day dinner offers something for everyone. The island's cuisine combines Caribbean cooking, along with African, English, Spanish, and French influences. Of course you will find the traditional English Christmas turkey and all the fixings, however this is an island where seafood, salad and tropical fruit are always on the menu. 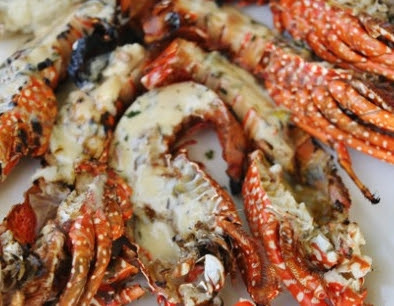 Anguilla is known for Cray Fish which is like a baby lobster - very tender and sweet - not to be confused with Louisiana crawfish. Other island seafood delicacies include sea bass, red snapper, lobster, mahi-mahi, swordfish and grouper. There's really nothing better than fresh Cray Fish boiled in sea water with potatoes, onions, carrots, and coconut milk right on the beach. Since December is the busiest month, reservations need to be made in advance. The island often experiences what is known as the "Christmas Winds" - the weather will normally be sunny, warm, and a bit windy. If your travel plans to Anguilla include staying for New Year's Eve, book a room on the south of the island so you can watch the spectacular fireworks display on the island of St. Martin. Anguilla is not known for shopping - if you want to do some Christmas shopping, there is a public ferry to duty-free St. Martin. The trip takes less than 30 minutes, and be advised the water can be choppy this time of the year. The ferry will be crowded as many locals also go shopping in St Martin. Another shopping alternative is the very chic and French island of St Barths which is just an hour away by ferry or boat. Brilliant resources that i had to find in this post,I enjoyed each and every step of this post,how nice information that you share through this post,really it was so good or nice,so thanks for this..!! !